If you are like me, you enjoy fall for many reasons: the changing colors of the trees, the late season harvest and, football. Especially college football! 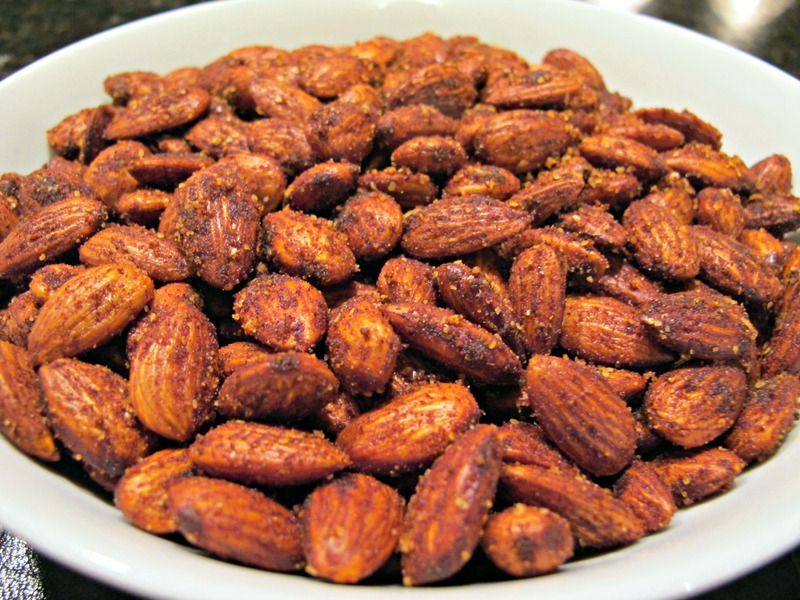 Here is a snack that you can enjoy year-round, but these almonds are great to munch on while watching your favorite team win or, sadly, lose. And almonds are even shaped like a football! This recipe is slightly adapted from one I found in The Naked Kitchen: Veggie Burger Book by Sarah Davies and Kristy Taylor. Though the almonds don’t quite taste like bacon to me, they are smoky, sweet and delicious! 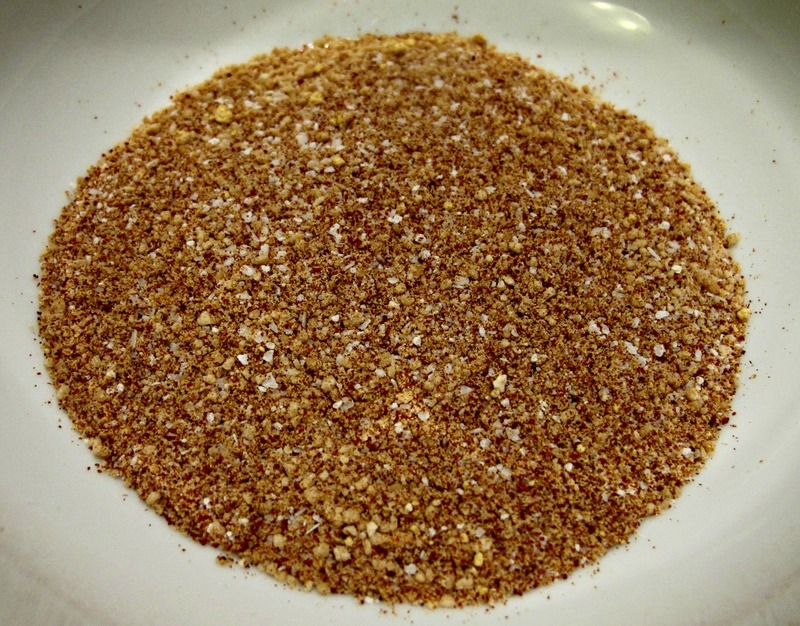 Combine the mustard, salt, sugar and 1 teaspoon of pimentón in a small bowl and set aside. 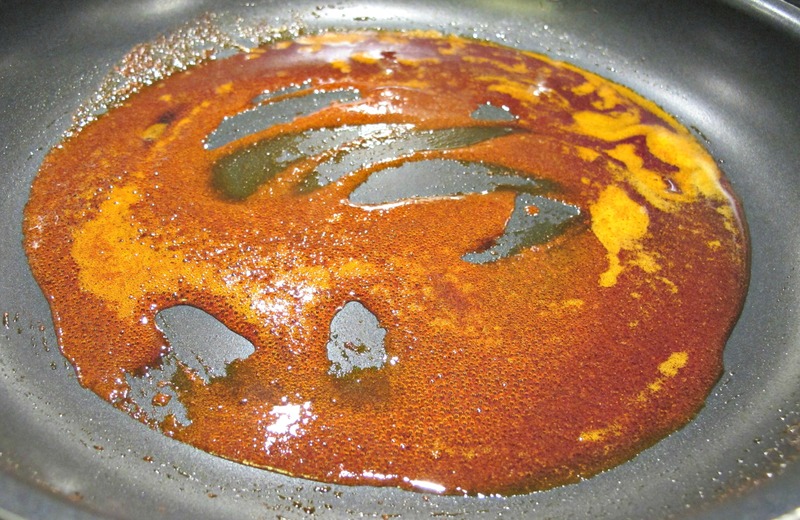 Heat the oil in a large skillet over medium heat and add the remaining two teaspoons of pimentón and stir well. 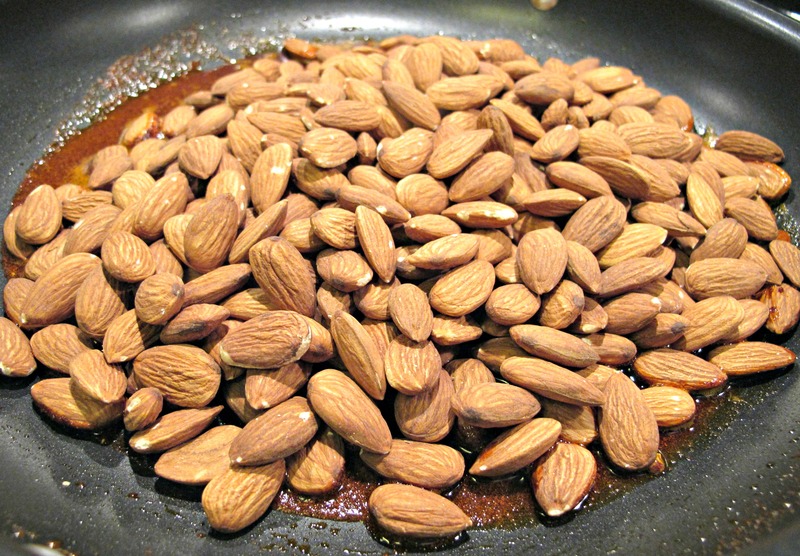 Add the almonds and stir well until the almonds are well covered. Continue to cook, stirring frequently until they are slightly toasted. 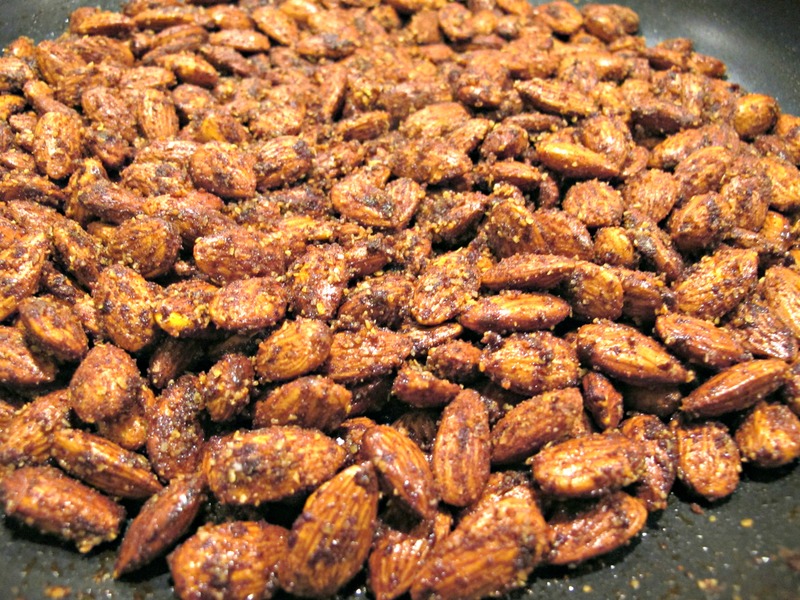 Sprinkle the coconut aminos (or soy sauce) and the spice mixture over the almonds and stir until it is well combined. Spread the almonds on a lined baking sheet in a single layer and bake for 20 minutes, stirring the almonds a few times as they bake. 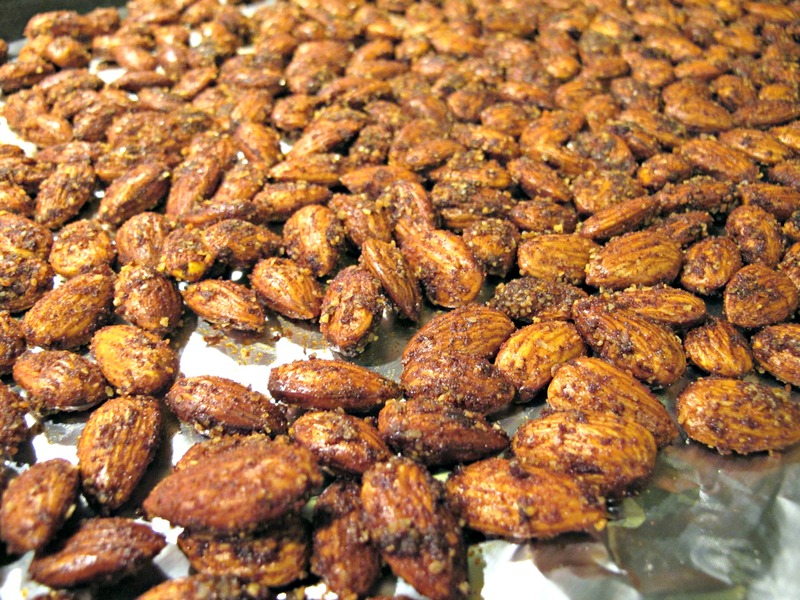 Take the almonds out of the oven and let them cool completely before eating. These sound great. Got a load of family coming this weekend, and we’re cranking up the smoker, so I reckon these will go nicely.